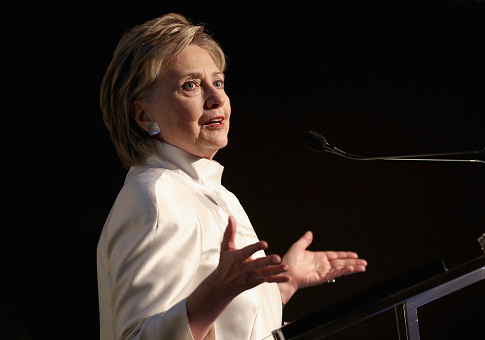 The Federal Election Commission has fined a federal contractor $34,000 for unlawfully donating to a pro-Hillary Clinton super PAC during the 2016 presidential election. The FEC announced the decision in a letter to the Campaign Legal Center, a nonpartisan organization focused on election law who initially filed a complaint. The FEC had initially been made aware of the issue via a complaint from the Campaign Legal Center. The complaint argued Suffolk Construction Company, Inc. made illegal federal contractor contributions to super PAC Priorities USA while it was under contract with the U.S. Army Corps of Engineers. Specifically, the company violated the Federal Campaign Act of 1971 by making two $100,000 donations: one in July and another in December of 2015. Under the act, federal contractors may not make contributions to political committees or "any person for any political purpose or use" until "completion of performance of the contract or the termination of negotiations." According to case documents, the company had been awarded about $1.3 million in Defense Department related federal contracts in fiscal years 2015 and 2016. The FEC did not find the violations were made with "knowing and willful" disregard for federal law. Suffolk voluntarily entered an agreement with the FEC under which the company will pay a $34,000 fine. Suffolk has 30 days from the date of agreement to comply with all requirements agreed to. Center for Public Integrity first drew light to the violations in April of 2016. On June 30 of that year, the super PAC returned the full $200,000 to Suffolk. Priorities USA reported it had raised $12 million that same month, bringing the total amount raised in the election cycle to $142 million. This entry was posted in Politics and tagged Democratic Donors, Democrats, Hillary Clinton, Massachusetts, Priorities USA, Super PACs. Bookmark the permalink.